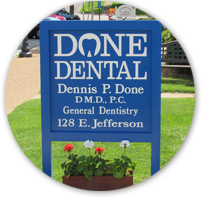 Dennis P Done, DMD, PC is located in the heart of downtown Kirkwood, two doors west of the Kirkwood Public Library. We are a patient centered dental office that offers modern dentistry with a small town feel. 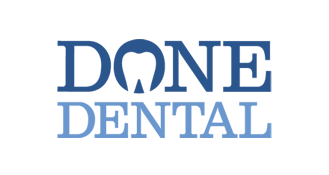 We believe that long term relationships with our patients are very important. 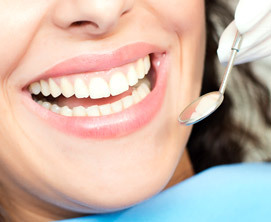 Our aim is to provide high quality, personalized dental treatment at a fair price. We strive to talk with you, not at you. You will always see familiar faces when you come to our office. Our friendly staff wants to make your visits to our office as comfortable and hassle free as possible. We are not a big "assembly line" type office where you never see the same staff members. Our goal is to help our patients establish and then maintain good dental health. We do not "sell" dentistry. We will provide you the dental care that you need and, if you wish to explore cosmetic or other "optional" procedures, the dental care that you want. When you have treatment needs, Dr. Done will explain the treatment he recommends and any possible alternatives. And while our staff is certainly able to answer your questions, you will not be turned over to a "treatment coordinator" or to a "financial coordinator." Dr. Done himself will answer any questions you have regarding your treatment, your concerns, and the costs associated with treatment.